Election night is always exciting. 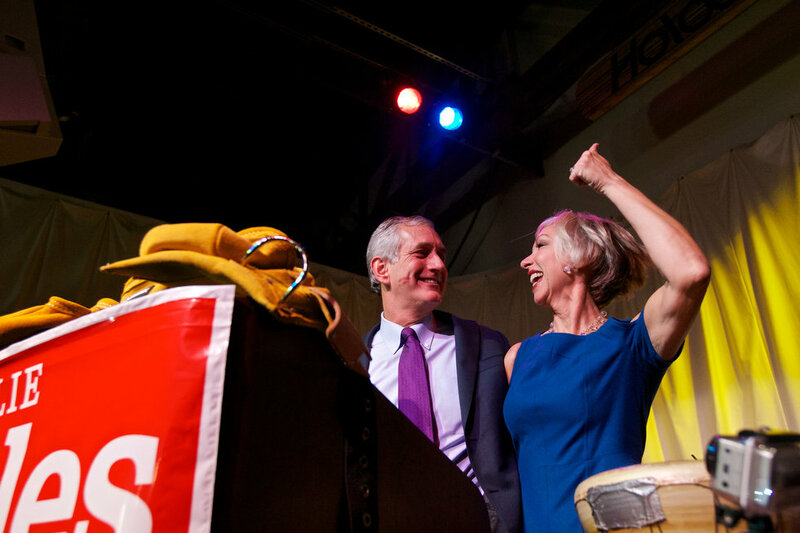 For those of us who work at Pendleton Woolen Mills, it was especially exciting to see the blue pieced dress worn by Nancy Hales as she stood by the side of Portland’s Mayor-Elect, Charlie Hales. This dress is one of the show-stopping pieces from the Fall 2013 line for The Portland Collection. Three Portland designers create this fashion forward boutique line for Pendleton; Rachel Turk, John Blasioli and Nathaniel Crissman. All of the garments are made in the USA. You can watch them here as they talk about the line on Good Day Oregon. So congratulations, Mrs. Hale, and thanks for keeping it local!